Properties in Naval Academy at Murwik average 4.6 out of 5 stars. 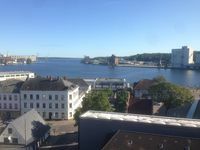 Nice little apartment, directly down to Flensburg fjord. 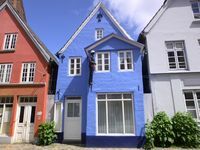 Property 22: Nice little apartment, directly down to Flensburg fjord. Holiday home "Auf dem Bremsberg" - holiday home "Auf dem Bremsberg"
Property 33: Holiday home "Auf dem Bremsberg" - holiday home "Auf dem Bremsberg"
Great view of the harbor and easy walking distance to the Norderstra&szlig;e shopping area, harbor, museum, gym, bakeries, transportation. Quiet neighborhood, easy access to the apartment. Peter was easy to contact and replied to all of our questions. Recommend this apartment when in Flensburg! Location view view &amp; view .. very cosy &amp; modern place w/an amazing view .. close to Nordtor..
Great place for seeing what Flensburg has to offer ..